Now, lets look at the month ahead in more detail, Aquarius! Sociable Venus falls in line with your ruling planet Uranus on the 2nd and 3rd, Aquarius, bringing an affable quality to your relationships and community dealings. It might finally feel like those around you are getting on-board with your ideas and ways of thinking! It’s likely you can further influence the crowd, leading by example. A new moon in Aquarius (at 9.04 pm GMT) on the 4th is your opportunity for a fresh start among friends, colleagues and peers. It’s also your time to focus on you, your sense of self, health and wellbeing, and what you feel will serve you in the months (and years) ahead. By the weekend you could find yourself in a far more lucid and practical mood, retreating inwards towards a calmer state of mind. Imagination can soar around your material assets – your financial income, or simply making improvements in your home, surrounding spaces, or even your private life. Let yourself dream on this chill weekend, reflecting on personal transition and transformation connected to what it is you do. You may even want to buy a couple of key pieces that reflect subtle changes. Charcoal grays and black are ideal. Monday the 18th injects a lively spirit into the beginning of the week, and again, you could feel compelled to show those around you what you’re made of. But go easy, it’s a day when it’s hard to feel really good, so step back taking solace in efforts being made that aren’t so easy to demonstrate. A shift in the stars on the 19th puts practicality front of mind, as the full moon lights up shared spaces and your resources. It’s an important day to acknowledge partnerships, Aquarius. Your commitments and your private life can really start to make sense now, so embrace the inclination to ground yourself and hone your attention on the real world and earthly pleasures. The 22nd is a troublesome day – you may be in the right mind to settle into an industrious bubble, however a group dynamic – your company, community or tribe – proves distracting. By the 23rd you’re back on track, intensely able to focus on your path. 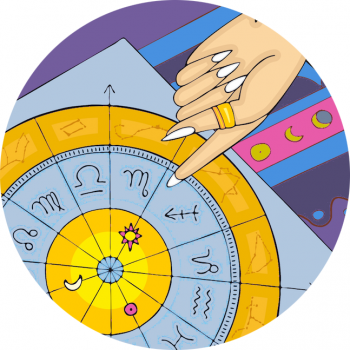 Be aware that the last week of the month is devoted to surrender – not only for your sign but for the whole zodiac. You may need to let go of certain habits, and shift into a healing mindset, for body and / or spirit.